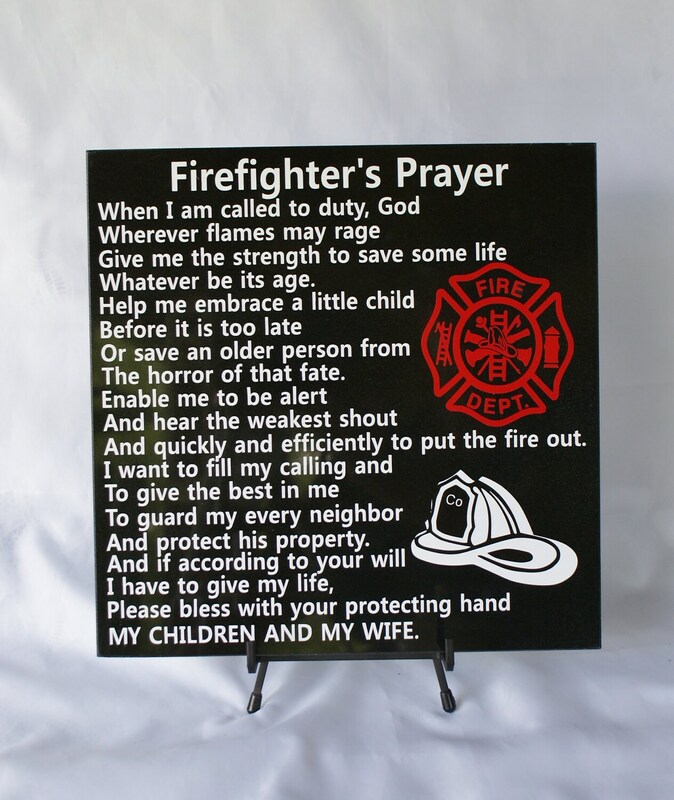 Firefighters are truly unsung heroes. They put their lives on the line every time they are called out on an alarm. 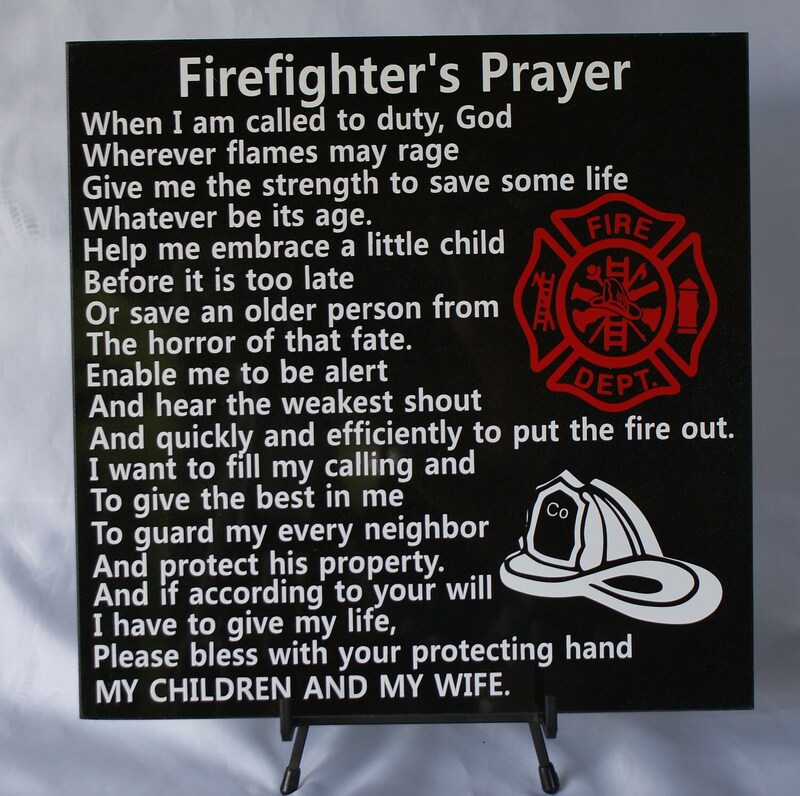 This Firefighter's Prayer was created on 12" x 12" black granite and weighs between 7 and 8 pounds. 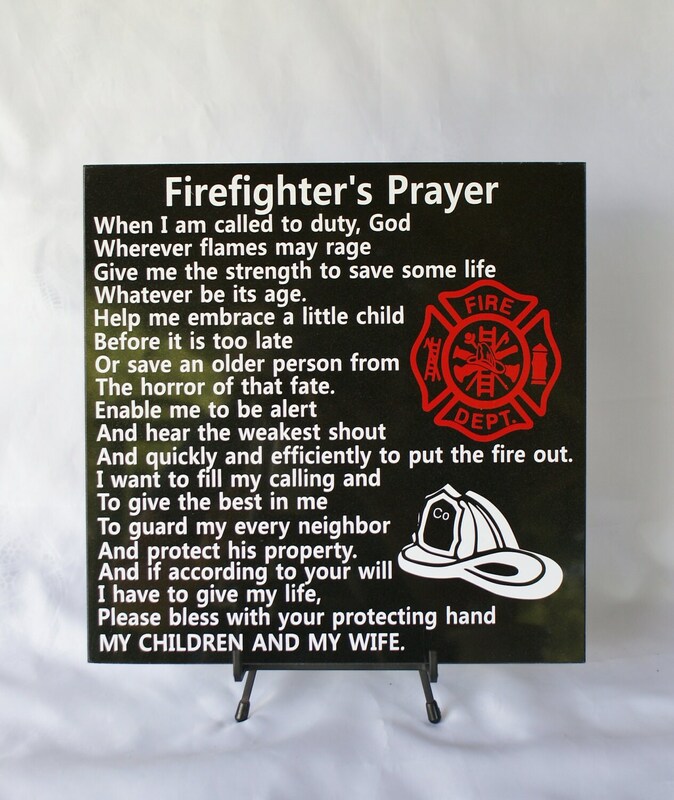 It makes a lovely gift for any fire fighter. If you have ever had one come to your rescue, than you know that you have been in the presence of greatness. 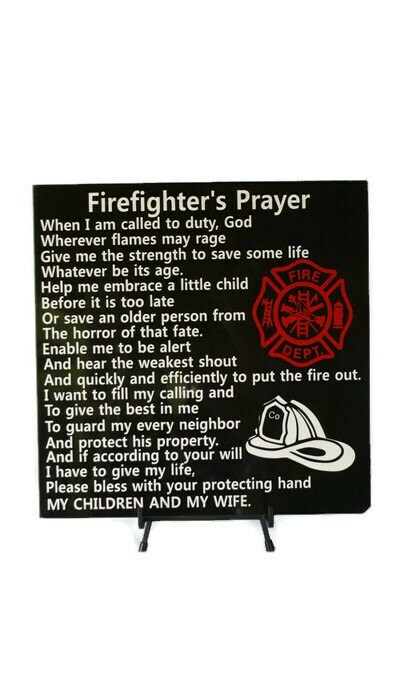 We have had fire companies purchase these for every fire fighter in the company. 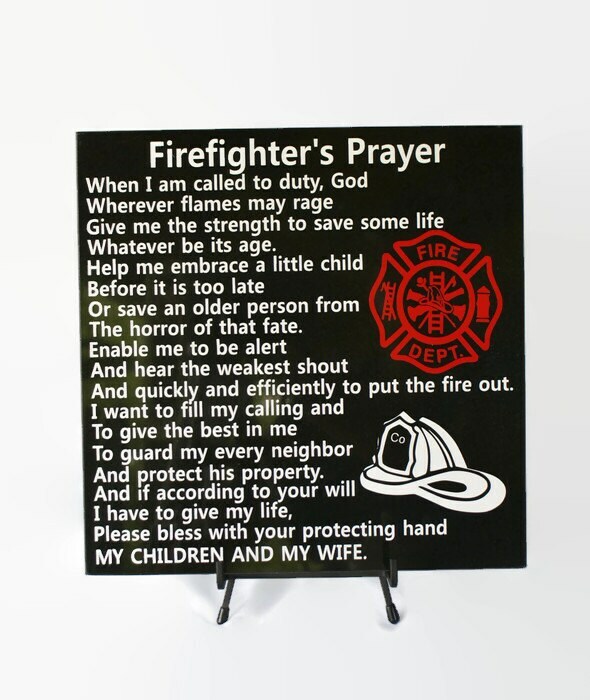 We have also had fire companies purchase them for the Company Chaplain. But, more often than not, our customers purchase them to honor their loved one who sacrifices so much with courage and bravery that most of us could only dream about. The easel in the photo is not included. We do our very best to ship your orders very quickly, often in just a couple days.